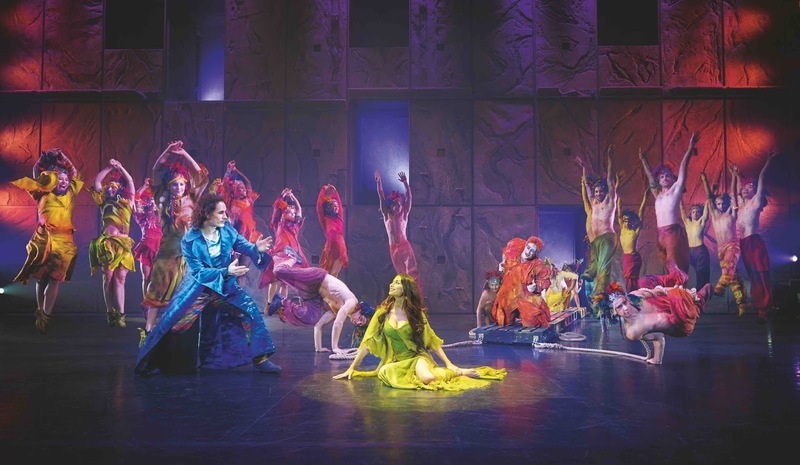 For a limited run of 7 shows (4 left at the time of writing), Notre Dame de Paris has stormed into The London Coliseum with an explosion of energy to tell a dramatic story of desire. Angelo Del Vecchio is the tragically tortured Quasimodo, with soaringly powerful vocals that fill the air with depair…and hope. Opposite Hiba Tawaji’s Esmerelda, the two make an enchanting pair. Esmerelda’s other male admirers – Richard Charest as Gringoire and Martin Giroux as Phoebus – embrace the anthemic rock score with vigour, and give commanding performances. With a B-plot that tackles the themes of immigrants seeking asylum, this is a story that feels incredibly relevant to a modern audience in many ways…although this part of the plot feels underdeveloped. 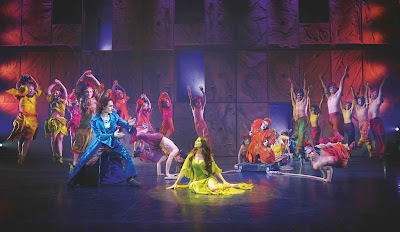 Christian Ratz’s set design is strikingly (and presumably intentionally) simplistic, acting as a vehicle for the performers – particularly the acrobats – to showcase their extraordinary skills as they become moving set parts themselves. Combine this with Martino Muller’s choreography, and it offers more impact that any elaborate props ever could. Notre Dame de Parisis a deeply moving and profoundly sexual retelling of Victor Hugo’s novel, which is far-removed from the Disney version that most are familiar with, and unlike anything else you’ll see in town. Grab a ticket before it’s too late.